As it turns out, scientists say there’s a lot to be said about a sand dollar’s life. That skeleton — also known as a test — is really a tool, a remarkable feat of engineering that allows sand dollars to thrive on the shifting bottom of the sandy seafloor, an environment that most other sea creatures find inhospitable. And on the seafloor sand dollars look very different. These flat sea urchins have thousands of purple spines and tube feet that help them catch food, absorb oxygen from the water, and move around. 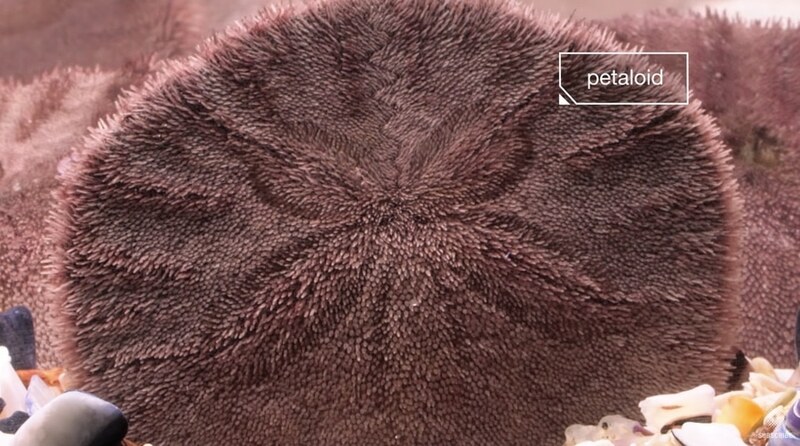 You can see their signature flower pattern, called a petaloid, in the furry-looking image below. 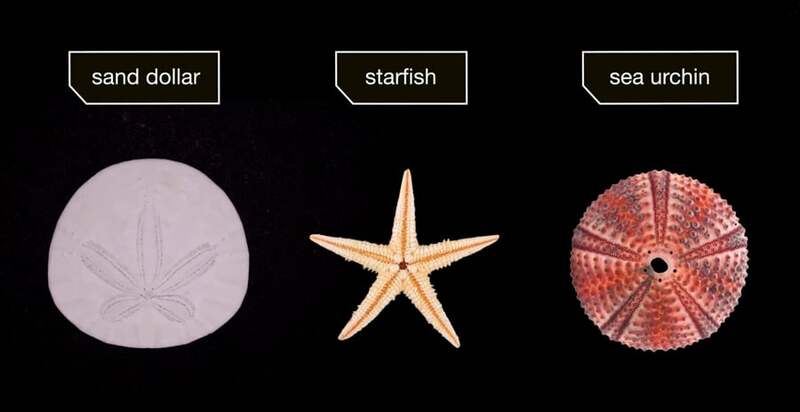 It’s the same “five-point body plan” seen on starfish and other sea urchins. This fascinating Deep Look episode, A Sand Dollar’s Breakfast is Totally Metal, gets an up-close at their skills, including how they use grains of magnetite to keep them stationary in the water currents. Follow this with the differences between a living and a dead sand dollar and a pacific razor clam burrows rapidly into the sand. Plus: More from Deep Look, another video about magnetite in sand, and more sea urchins, including the alien-like Diadema setosum.